Essential oils, the pure essence of a plant, have been found to provide both psychological and physical benefits when used correctly and safely. There are quite a few products on the market that contain unnatural ingredients including fragrance oils and claim to be aromatherapeutic. It's important to look at the ingredient label when seeking true aromatherapy products. In addition to therapeutic benefit at the emotional and physical level, essential oils are helpful in other applications. Essential oils can be used in household and laundry cleaners. Some oils act as a natural insect repellent and pesticide. Pure essential oils must be used with extreme caution; skin irritation could occur if used without proper dilution. Photo-toxic reactions might occur when applying citrus oils. Essential oils might act as sensitizers. Essential oils can be toxic to some pets. Some oils can cause gynaecomastia. A few essential oils may produce the same effects as estrogen. These oils may be hazardous to pregnant women. Essential oils are naturally toxic materials which have been known to cause toxic reactions, such as liver damage and seizures, due to unsupervised ingestion. Essential oils may react with allopathic medicine if used simultaneously. The general modes of application of the essential oils in aromatherapy include the application of the essential oils through aerial diffusion for the purpose of disinfection of the air. These essential oils and other aromatic products can also be applied through inhalation of the aromatic compounds in a direct manner for psychological and respiratory effects. 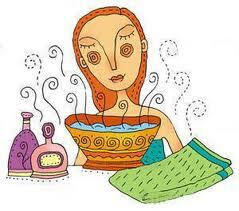 Surface application is also employed for positive benefits through proper massage, baths and skin care. Surface application is widely employed for this purpose which negates the risks associated with direct inhalation. I was able to consult an aromatherapist to guide me on how can I make use of the natural scents that can be found in my garden for a starter. I also have several scented candles that has never been lit since my Mom gave them to me. Lemongrass – simply crush and hang it in one part of the house. It envigorates the senses. It is also used as an anti-depressant because it tones and fortifies the nervous system. Ylang Ylang – the scent of the flowers helps ease high blood pressure, rapid breathing and nervous conditions. Eucalyptus oil – pouring a small amount into a small dish container can help ease of breathing when having colds and coughs.